This is in a bid to ensure that students have an adequate and comfortable environment in which to learn. The Minister further expressed the hope that Windward Road Primary and Junior High will continue to grow. The school’s academic performance has improved significantly under the leadership of Principal, Norman Malcolm. 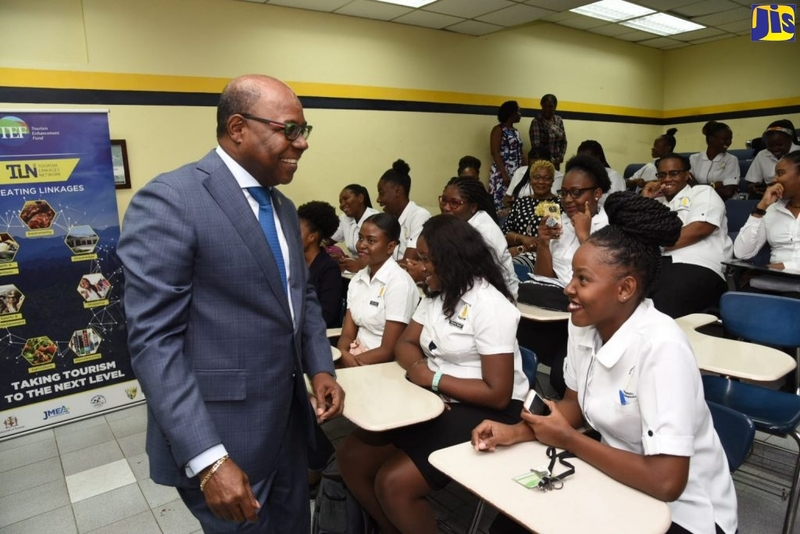 The Windward Road Primary and Junior High School in Kingston is among several institutions being assessed by the Ministry of Education, to determine the extent of assistance needed to address classroom space limitations, among other challenges. Making the disclosure during a visit to the school on October 24, portfolio Minister, Rev. Hon. Ronald Thwaites, said this is in a bid to ensure that students have an adequate and comfortable environment in which to learn. “Windward Road (Primary and Junior High) is doing so well but it has some challenges of space and amenities and the Chairman and Principal asked (me to) come and see if we could (discuss) it…I’m going to look around to see what their needs are… and see how the Ministry of Education can help,” Rev. Thwaites told JIS News. The Minister said the Government is working to ensure that the Windward Road Primary and all other similar institutions are able to consistently meet the needs of students. “Primary education is the key and if we do that well, then we are going to be able to build on that foundation much higher. Windward Road has a junior high school. Is that working? Many junior high schools aren’t as strong as they ought to be. This one is a strong one. How can we help them to be stronger? Is there a need for high school spaces in the area? How can we meet that? So I’m exploring and we are thinking together,” he said. The Minister further expressed the hope that Windward Road Primary and Junior High will continue to grow and be a more disciplined and excellent place to learn. The school’s academic performance has improved significantly under the leadership of Principal, Norman Malcolm, who received the Badge of Honour for long and faithful service to education at Monday’s (Oct. 21) National Honours and Awards ceremony held at King’s House. Located in Eastern Kingston, the Windward Road Primary and Junior High School has an enrollment of more than 1,600 students, aged six to 15 years, with an average daily attendance of 90 per cent. Students hail from Kingston and St. Andrew and as far away as St. Catherine and St. Thomas.